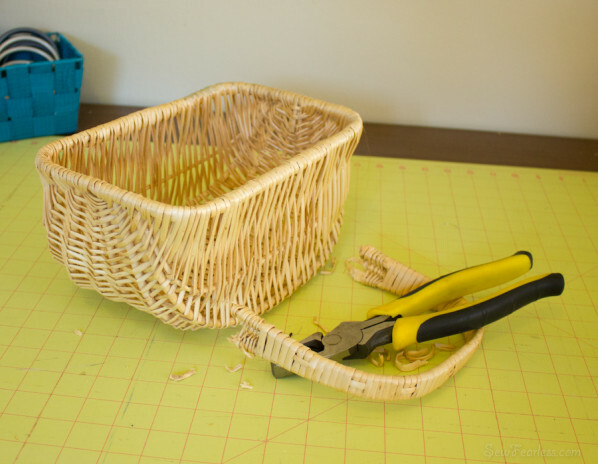 I wasn’t planning on making a tutorial for these basket liners. I’m tired, they aren’t particularly fancy or interesting, and I am distracted by baby-ness. BUT….My little sister requested one, and since she was sweet enough to thrift for baskets for me, I couldn’t say no to her. So here is the basic gist of it for you…. 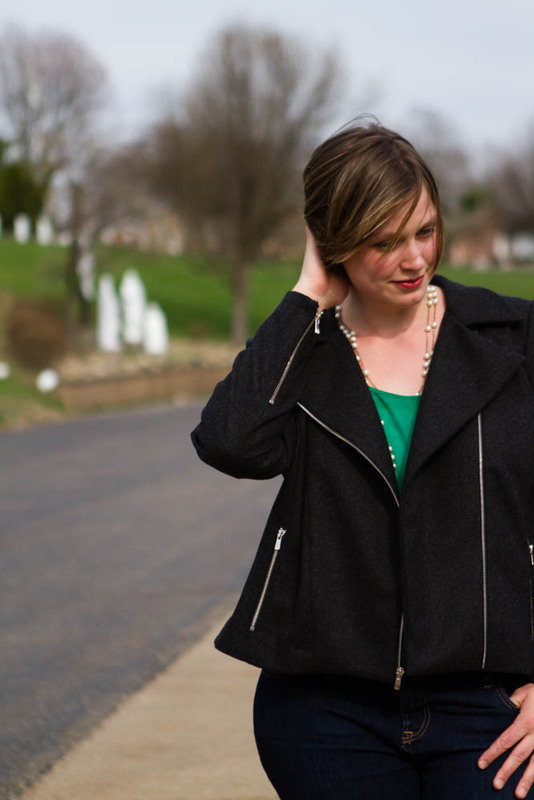 the usual – thread, pins, etc…. It starts with a basket – handles removed. 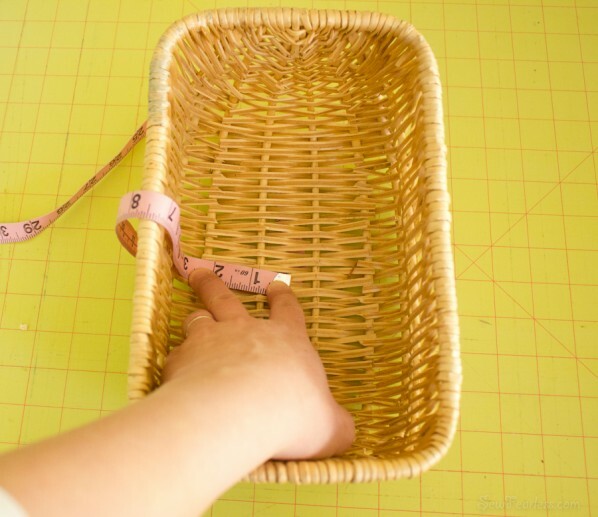 Measure around the outside of the basket. 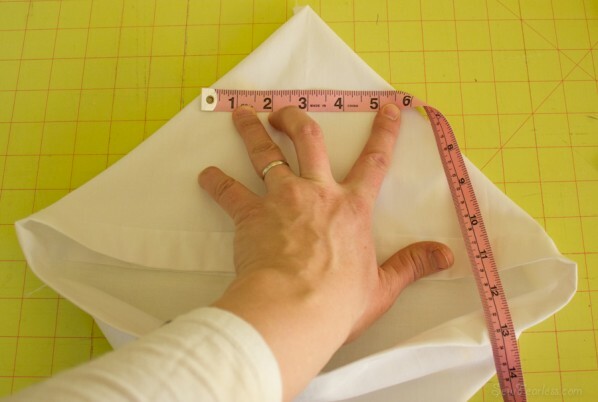 Add to this measurement a little “ease” (1/2 to 1 inch) and two seam allowances. This is the width of your liner. 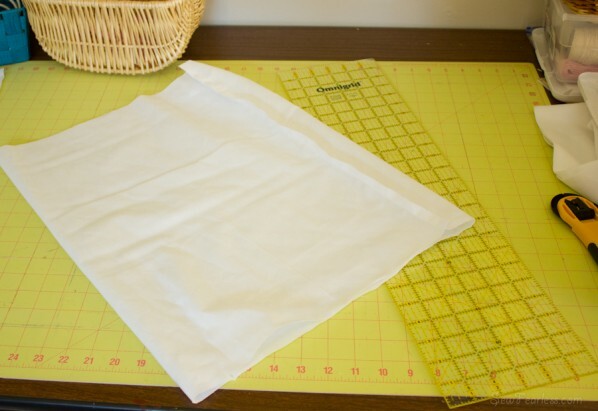 Cut out a piece of fabric according to the width and height measurements. 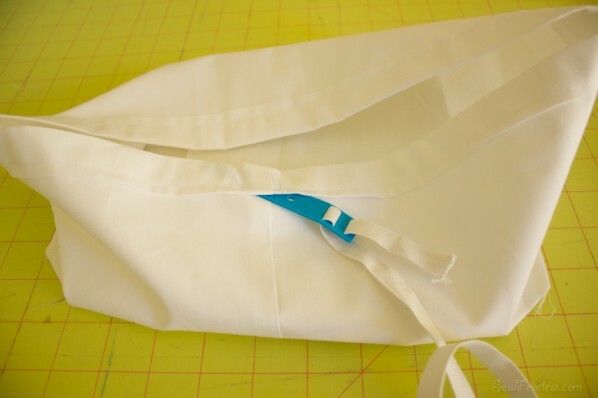 Fold it in half width-wise right sides together and sew the “height” sides together making a tube. 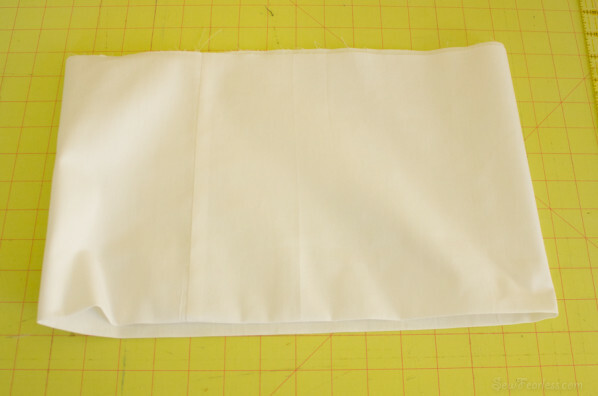 Fold over the (folded) top edge of the lining 1 inch to the outside of the tube. 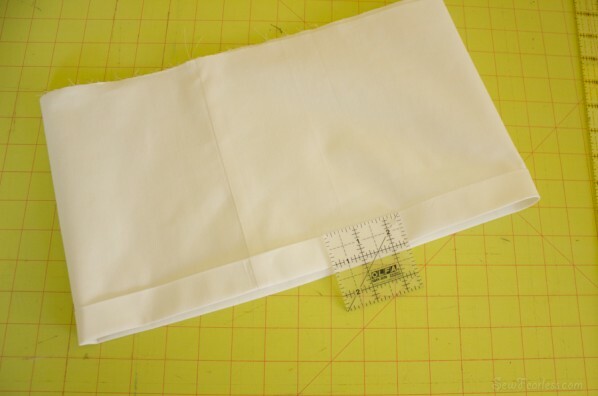 Sew a 3/4 inch casing along the folded edge for elastic. Leave an opening for inserting the elastic later. 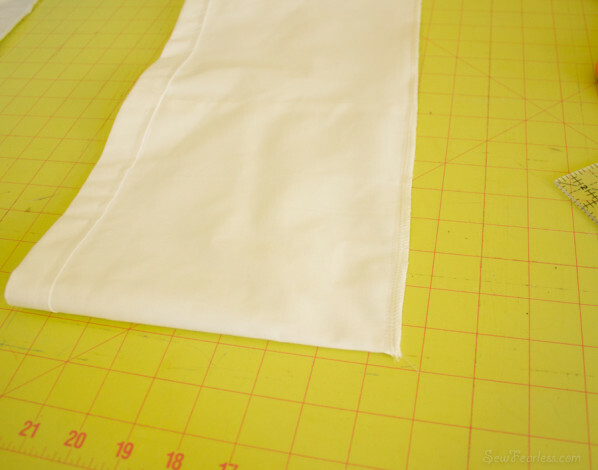 Sew the bottom edges of the tube together. 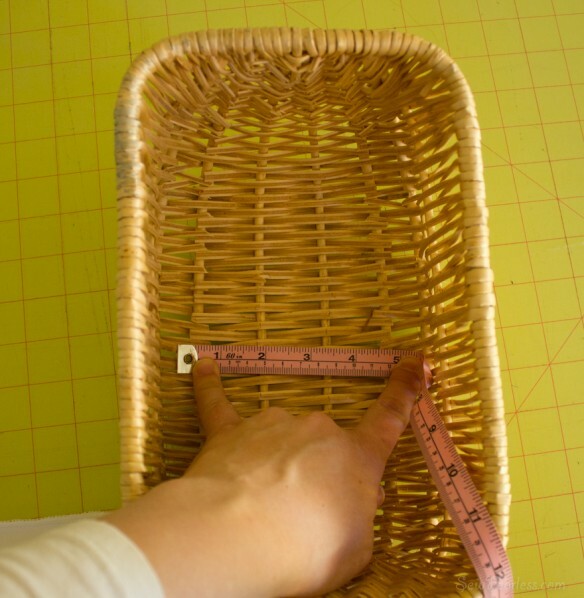 Measure the shortest width of the basket bottom. 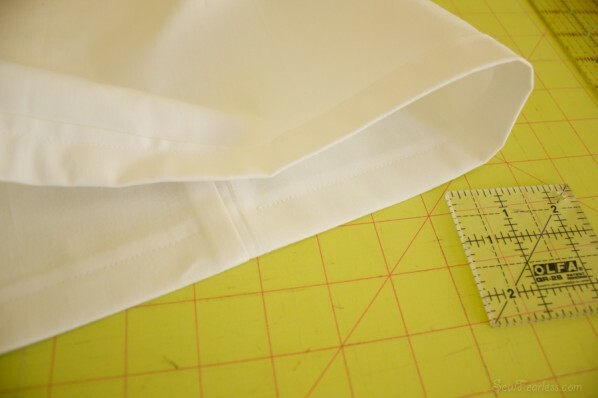 Then, sew a “dart” across the bottom corners the length just measured. This seam is perpendicular to the bottom seam. 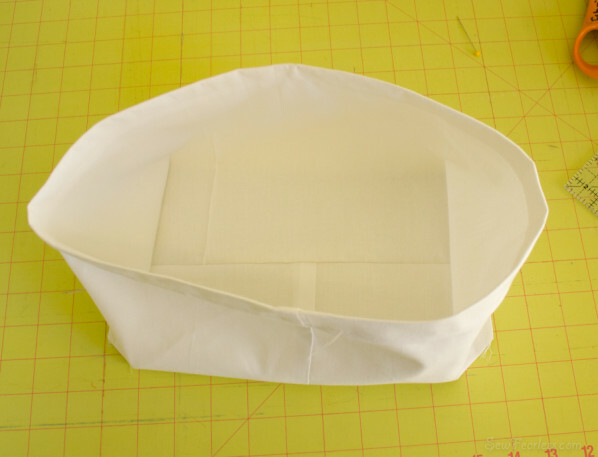 Now, the lining has a bottom to it that is roughly the same size as the bottom of the basket. Insert elastic into the casing, and adjust it fit the basket. I hope you enjoyed it, Rachel (and everyone else)! What is that blue gadget you’re using to insert the elastic? I always just use a large safety pin like my mother taught me mumble mumble years ago. Ah cool! I don’t think I’ve ever seen those for sale, but I rarely look at “regular” sewing notions and they probably wouldn’t be in the quilting section. Thanks! Great tutorial! I have got up to the bit where you sew darts though & it might be a stupid question but what do I do with the triangular leftover bit of fabric now? Making a liner that is printed on the outside for a wire basket that you can see through. What should I do about the extra fabric on the ends caused by the dart in this case? Because unfortunately you can see them with the “see through” basket. Jodi. Can I just say thank you? Thank you! Thank you thank you! Thank you thank you thank you! I have been trying to make liners for some baskets my daughter got (some half a year or so ago now) and the five-piece method left me in tears (it was all that math, I just know it). You method is direct and too the point. Whiz-bang-boom and girlie has lined baskets for her art supplies and other miscellaneous crap. You are a God-send! These are the best kinds of comments to get! I am so happy it was helpful, holly. I was wondering how you would put the handle back on after making the liner? 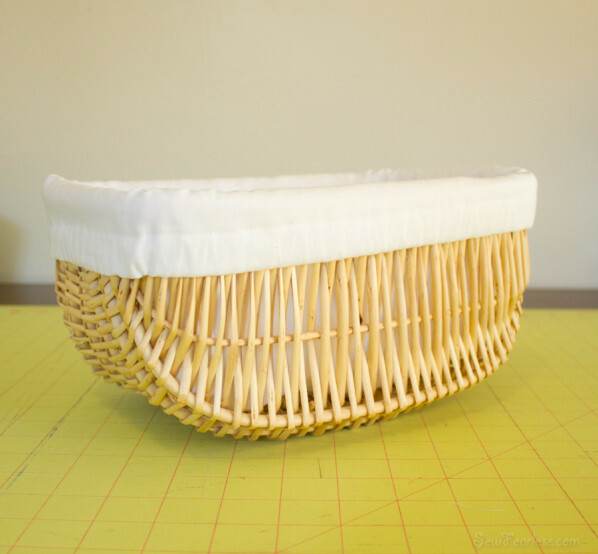 Also, I have one of those oval wicker baskets, that have the built in holes for carrying it with (that I want to use for a baby gift); how would I work around the holes? 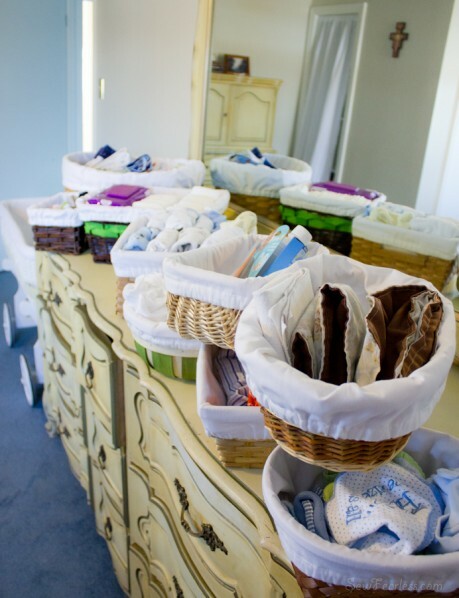 Do you have any samples of those types of baskets? Sorry, this only works for baskets without handles. 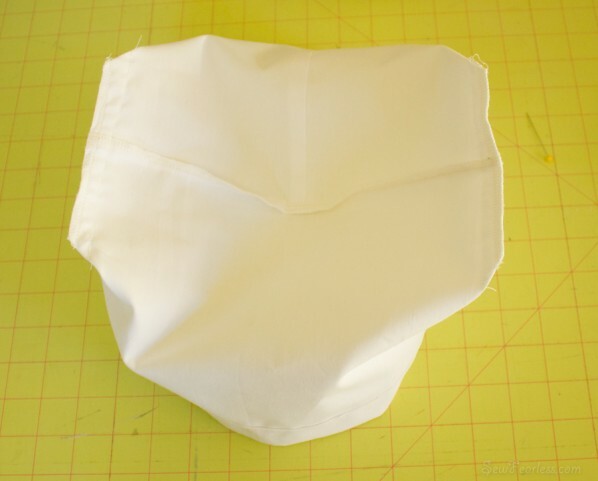 This tutorial assumes the use of a sewing machine. 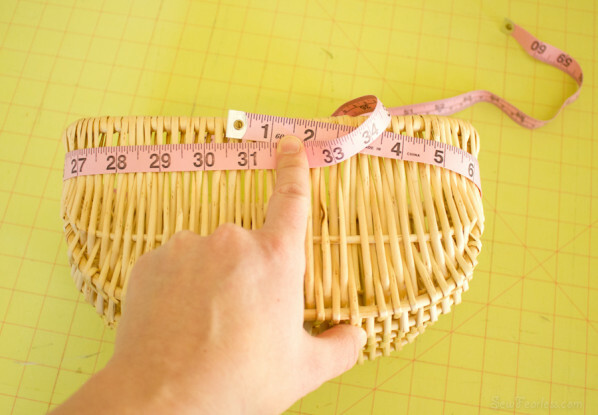 This is the best tutorial for a basket liner. So easy and done very quickly. I don’t use elastic, mine fit perfectly, saves me a lot more time. Thanks for sharing!